Welcome to South Pacific gem, Savaii in Somoa. 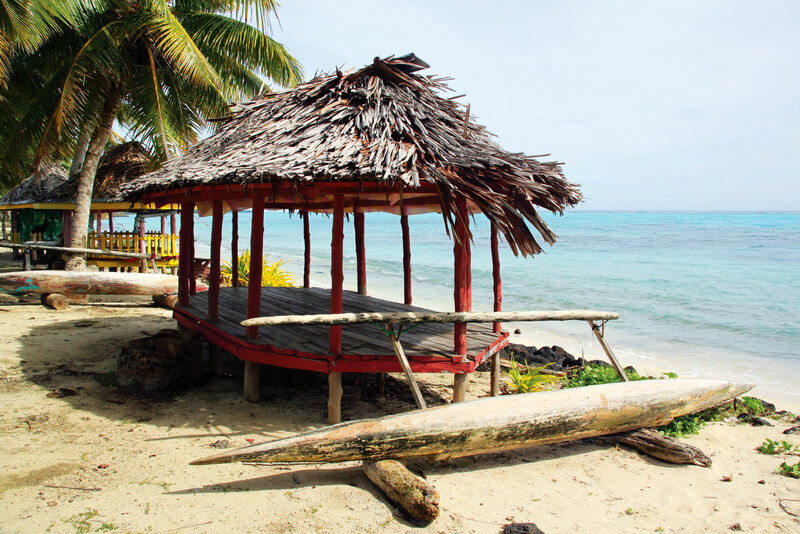 Savaii is located 13 kilometres from Samoa’s main island, Upola. Virgin Australia flies to Upola from $399 one way (virginaustralia.com.au) then take an hour ferry ride to Savaii. 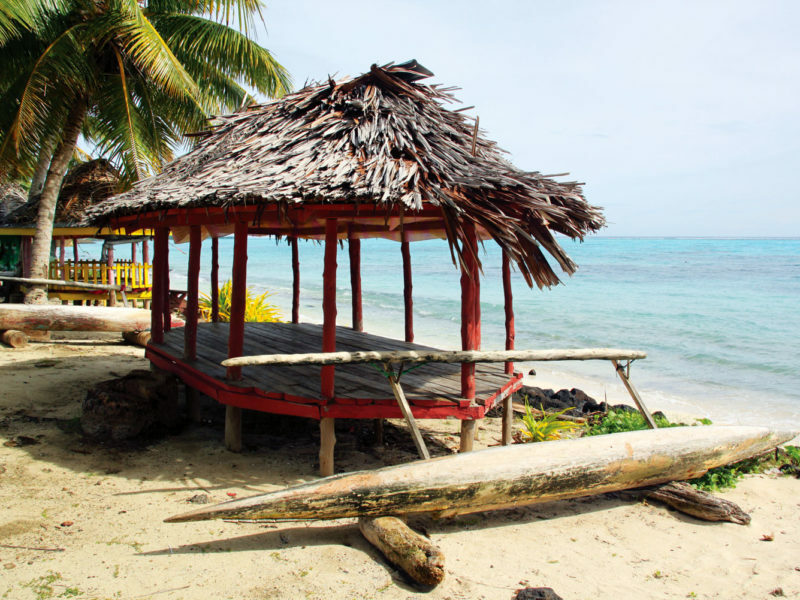 Savaii is Samoa’s biggest island – it’s actually Polynesia’s third largest island – but is home to just 24% of Samoa’s population who reside in communal villages ruled by chiefs. There’s just one paved road that circumnavigates the island; the speed limit is set at 40 kilometres per hour because piglets, chickens, dogs, horses and children rule the roads. On Sundays, everybody attends church and spends the remainder of the day taking part in family feasts. In the evenings conch shells are blown to indicate evening prayer (sa) and your voice must be lowered. But it’s one of the South Pacific’s most underrated island destinations. Entirely circled by coral reef, tiny villages lie beside huge, blue lagoons. There’s a handful of beachside bures for visitors, although some high-end accommodation options have just opened. Tourism is low-key, although tourist attractions are plentiful. Savaii is the home of the largest continuous patch of rainforest in Polynesia where visitors are permitted to trek. There are also mountains to climb, volcanic rims that drop down hundreds of metres and it is home to some of the Pacific’s most striking waterfalls. There are also many significant Polynesian archaeological sites. A Sunday feast with a local family. Help prepare the feast before church, then attend church with local families to witness the sweetest voices in the Pacific before making your way home for an all-day feast. Cyclone season runs from December to March and is best avoided. I love Savaii. My husband and I circumnavigated the island and enjoyed every bit of the one and half weeks we were there. We spent 4 weeks altogether in Samoa. It’s a beautiful place and I recommend it to anyone who is thinking of travelling there. I love those little beachside huts you mentioned. They are lifesavers in the Samoan warm climate because of their open sides. But can I just point out a little error here? You called them bures when they are actually called fales. Bures are Fijian thatched roof huts and are different from the Samoan thatched roof huts the fales. I must say that I love your 10 must-visit Secret Pacific Islands.